"It is excellent news," said Olivier Perot, president of the French wind energy association (FEE). 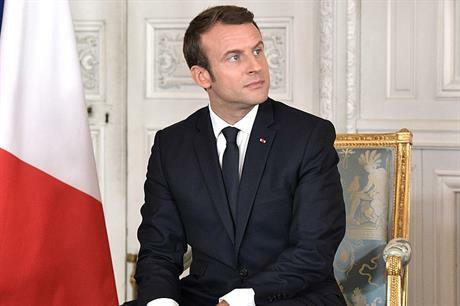 The tariffs have been cut by about 30% overall, allowing the state to "to save €15 billion of public money," Macron declared. They are now around €150/MWh as opposed to roughly €200/MWh previously, energy minister Nicolas Hulot added. The affected projects – totalling almost 3GW – are Courseulles-sur-Mer, St-Nazaire and Fécamp, awarded to a consortium led by EDF Energies Nouvelles, and St-Brieuc awarded to Iberdrola and Eole RES in 2012. In 2014, an Engie-led consortium was awarded Dieppe-Le Tréport and Les Iles d'Yeu et de Noirmoutier. The government has been pushing for some time to renegotiate the tariffs in the face tumbling prices elsewhere in Europe. Indeed, a government amendment to a law going through parliament threatened to cancel the projects if the consortia failed to "improve" their offers. The amendment, which replaces an earlier rejected version, was adopted on 12 June by special commission of the lower house. With this in the background, the government embarked on bilateral negotiations with the consortia. "The time for negotiation was limited, so inevitably the pressure was high," said Emmanuel Rollin, project director of St-Brieuc. Nevertheless, the three consortia managed to find an acceptable compromise. The projects remain essentially the same, including the choice of turbines and foundations. However, the grid connections will be taken over by grid operator RTE, as is already the case for future projects. Further cost reduction was possible thanks to "a revision of the cost for the financing of the project and an effort made by Ailes Marines on the cost of the main packages," Rollin said regarding St-Brieuc. On the other hand, "Ailes Marines is now assuming a higher level of risk. This was the only way to reach a positive outcome to the negotiation," he added. The cost of components, construction and operation and maintenance have also fallen over recent years. Even so, around €150/MWh excluding grid connection is still high compared to elsewhere in Europe. There are a number of reasons for this, explained Marion Lettry, assistant executive commissioner of renewable-energy trade body SER. Among other things, some of the technology choices were locked in almost a decade ago; France has more complicated seabed conditions and deeper waters; French taxes are heavier; and the permitting process is more onerous. Bidders also had to include an industrial component, whereby the manufacturers linked to the winning bids committed to building local factories. Overall, SER estimates the six projects will create around 15,000 jobs. It now remains to be seen if investors will be put off by the government's decision to go back on its agreements and even threaten to cancel projects. While new tenders will be conducted under a more flexible "competitive dialogue" procedure, the government action "will perhaps not leave some investors indifferent," Lettry notes.